We Rahul Graphite Limited are manufacturers, exporters, and suppliers of Molded Graphite which are used in many different applications like for furnaces, for sintering applications, For diamond saw blades. These Molded Graphite Blocks are manufactured in different grades and are used in many different applications Moreover, our Molded Graphite Blocks are offered at economical prices. We Rahul Graphites Limited offers Graphite Scrap. We bring forth high grade Graphite Scrap that consists of Graphite and Carbon stick in several sizes. 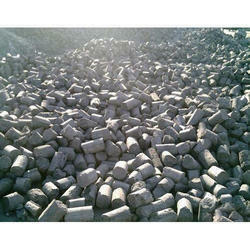 The Graphite Scraps range is extensively used in steel foundries and so on. We offer Graphite Scrap at market leading rates to the valued clients. Graphite Scrap from the debris and graphite in the graphite electrode machining process generated waste. Graphite broken electrical conductivity, thermal conductivity, high temperature, low ash, high carbon content, chemical stability and good as the carburizing agent, reducing agent, casting restore bred agent material, widely used in metallurgical industry, refractories, and other fields. 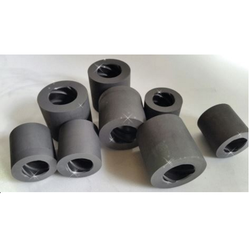 We Rahul Graphites Limited are manufacturers of Graphite Bushing. Graphite bushings offered by us are used as bush bearings. These are used where oil and grease lubricants do not work with corrosive liquids and gases, in such cases contamination by conventional lubricants are to be avoided. These Carbon bushes are also used for machining into parts of required sizes, mainly for making Carbon seals for mechanical seals. We manufacture Carbon bush bearings which are used in submersible pumps. These carbon bearings can be manufactured with straight grooves or spiral grooves. 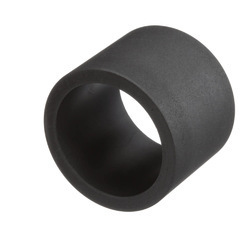 These Carbon bushings are manufactured as per the drawings or sizes are given by the customer. They can be manufactured in various carbon or graphite grades. We also manufacture Carbon bush bearings for chemical pumps all types of pumps. We Rahul Graphites Limited are manufacturers of Carbon Graphite Bearings.We excel in offering a wide assortment of high-quality Carbon Graphite Bearing. These are manufactured using high-grade raw materials which are sourced from trusted vendors of the industry. Designed as per international industrial standards, these bearings are acclaimed for their striking features. Used in vehicles and machines, these bearing are highly demanded among the clients. Looking for Graphite Product ?